"Infinite Pixie is an online fashion store based in Singapore focusing on womenswear. Founded in 2011 and solely run by Sera Lo. As of 1st January 2013, sprees are organized weekly with a minimum of 20 new arrivals and collections aimed to be launched fortnightly with new arrivals. They look forward to bring in lots of awesome goodies for all girls out there who have a thing for fashion. With Infinite Pixie, you can now shop online with them in your own comfort zone and await your prezzies to be delivered to your doorstep! " I've been working with Infinite Pixie for quite awhile now and helping with their product shoots and recently they're been on quite a bit of a "Spree-Frenzy" !!! Trust me you'll be spending quite a bit of time on their website once you start shopping with them! I like how the cutting for this dungaree strays away from the usual dungaree we see! This was a special pick from Sera who wanted to sponsor me this piece on top of my picks! Madly in love with this dress!!! I picked this from their New Arrivals and was highly anticipating it's arrival and I just couldn't wait to jump into it! Hehe never regretted my choice as this is such a lovely piece, I like how's slightly similar to the peplum top with it's fitted waist as well! 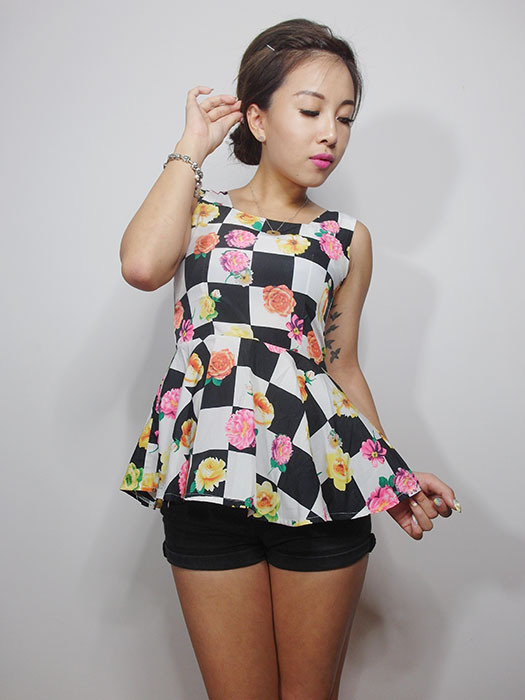 The prints are subtle yet eye-catching, super cute floral detailing hehe. Thank You so much Sera and Infinite Pixie for your generosity and all these wonderful items!!! Good News for you guys, Spree #70 is now open and they have updated with 29 new arrivals! - Promotion will end on 25th June, 1130PM (GMT+8) and promotion is not valid for sale items. Don't forget to look out for their ongoing promotions happening over at their facebook page! 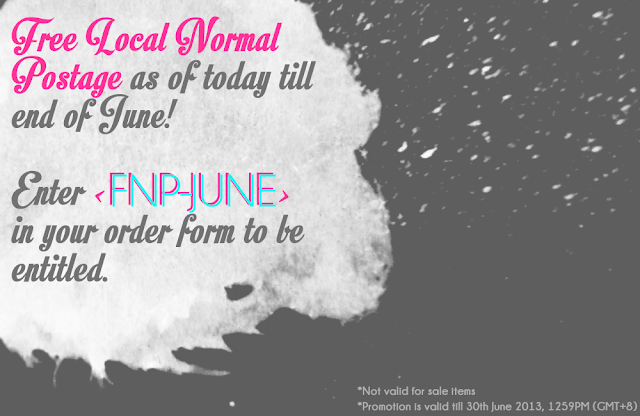 Also not forgetting, free local normal postage for the entire month of June!!! So many wonderful promotions for you guys, don't miss the chance and start shopping today!! !